Soft and moisture essence type for face and body. It gives skin instant whitening and long lasting brightening effect naturally. Fast absorption and deep moisturizing effect maintain beautiful skin tone with confidence all day long. 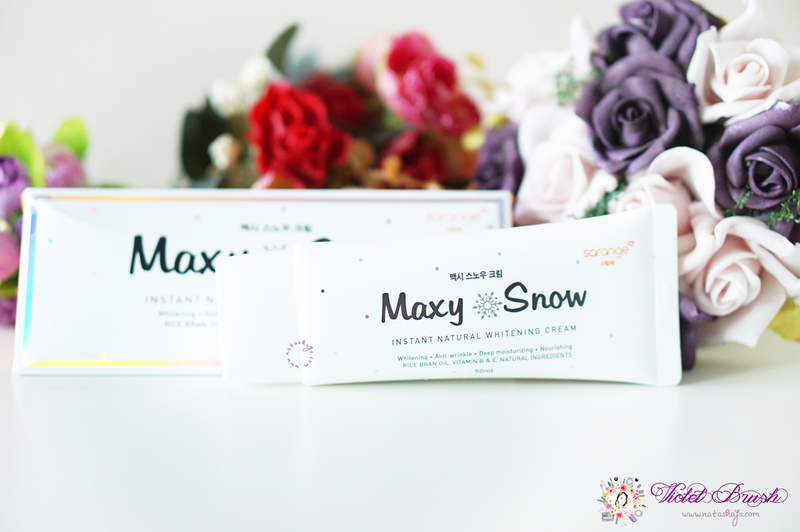 Maxy Snow contains Rice Bran extract which has been certified by BPOM and unlike other instant whitening creams available on the market, Maxy Snow has lighter formula and not sticky on the skin. Maxy Snow is also an innovation from Korea which has Korea's GMP certification. 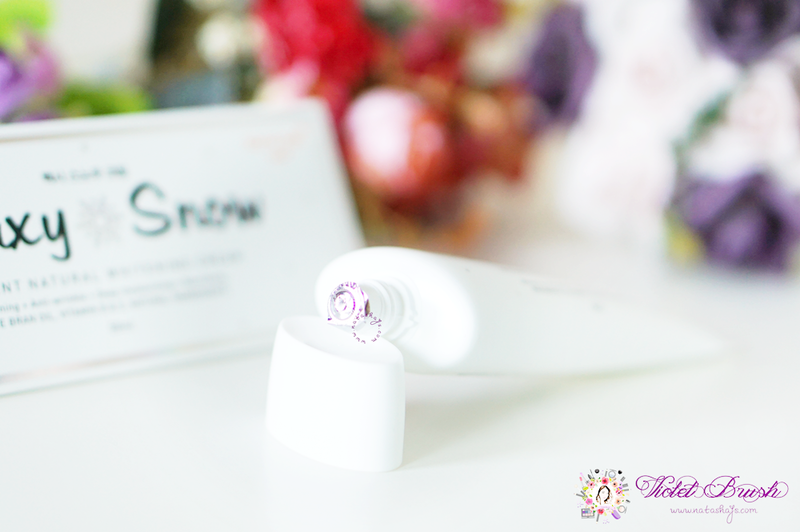 Maxy Snow is a 3in1 product which moisturizes, brightens up, and reduces wrinkles. 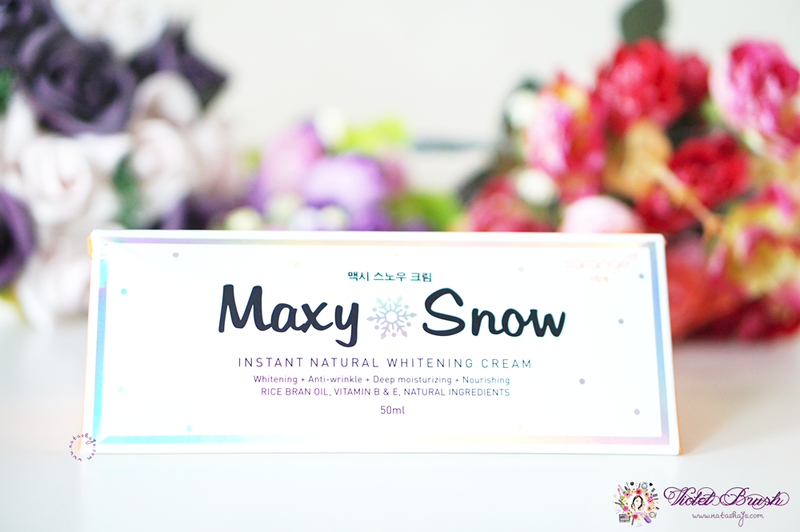 The whitening effect of Maxy Snow stays all day long (±12 hours). For face - apply evenly onto the entire face after applying moisturizer [facial wash - toner - moisturizer - Maxy Snow - sunscreen/sun block - makeup]. Sarange's Maxy Snow could be used as daily moisturizer, day cream and night cream, or as makeup base. 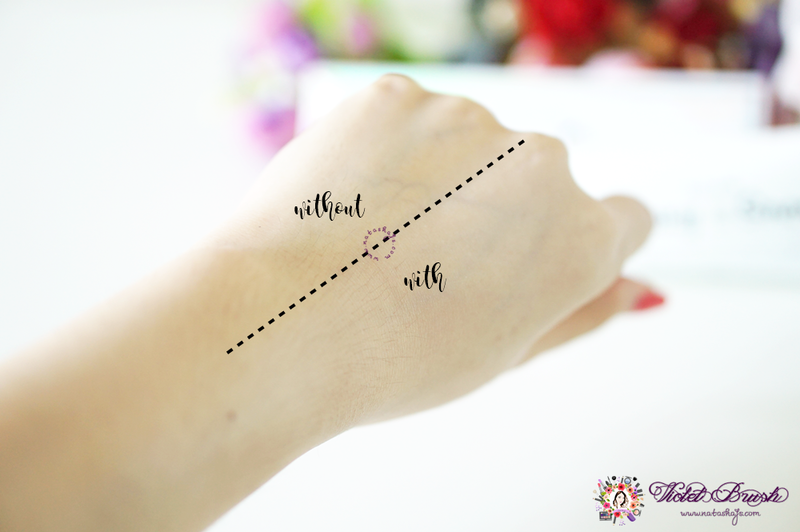 For body - apply onto the parts that you'd like to appear brighter (knee, elbow, etc.) or apply evenly as body lotion. 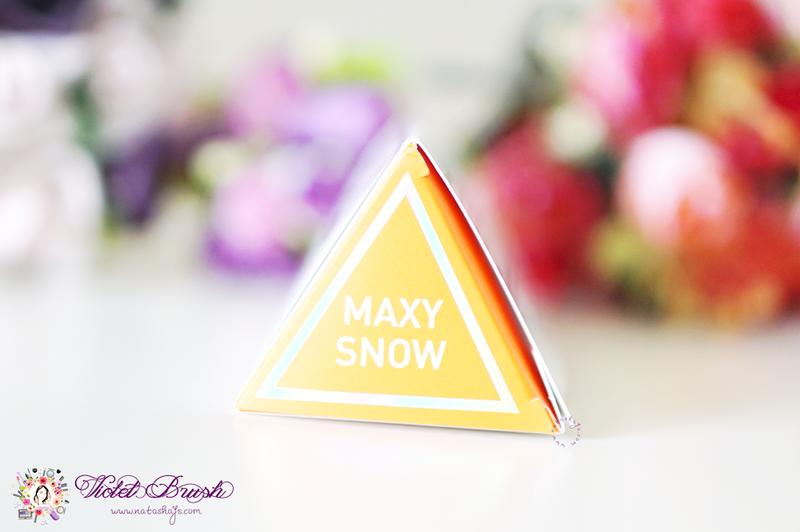 Can I say that I love the packaging of Sarange's Maxy Snow a lot? Its slim tube makes it very much travel-friendly and ensures the product's hygiene at the same time. In addition, they made the opening of the tube relatively small so I never squeeze out the product too much. Better, the opening was sealed upon purchase. 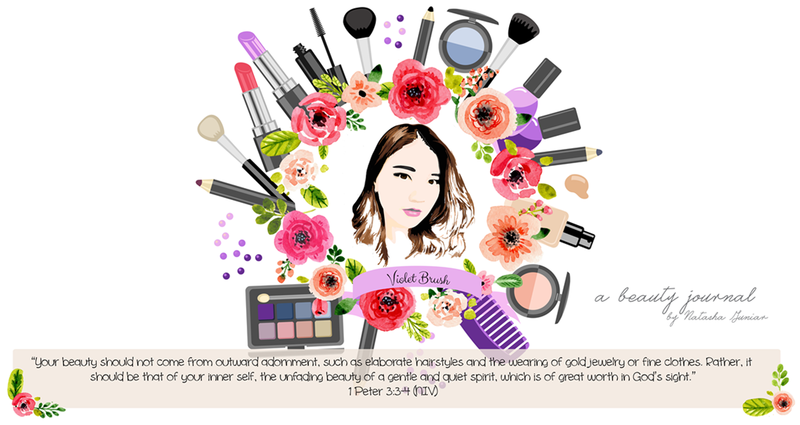 If you've been a loyal reader of Violet Brush, you might have known that I dislike anything that feels sticky or heavy on my skin. Good news to girls like me, Sarange's Maxy Snow has creamy consistency; not that thick but not runny though; and is pretty light when applied to the skin. It's not sticky nor heavy. Neither it feels oily. Sarange's Maxy Snow also absorbs fast as it claimed. The most important part of a review, how well the product works. The photo above has said it all, do I need to say more? 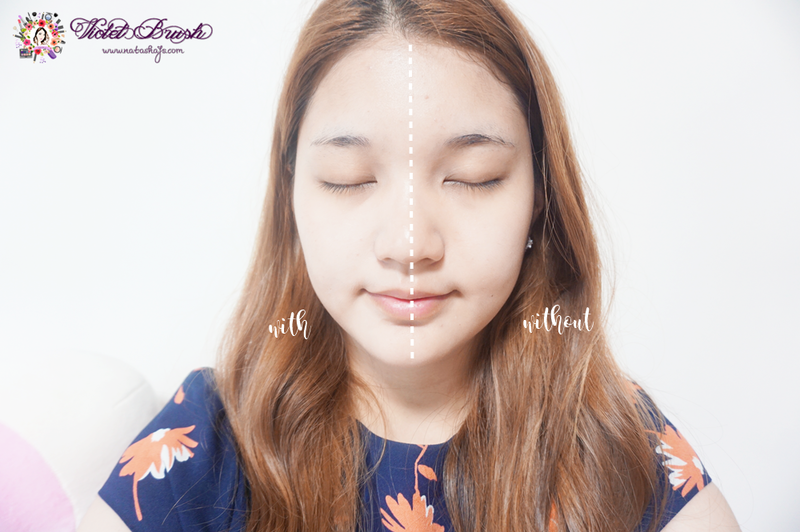 Sarange's Maxy Snow does its job well in brightening up my skin in an instant without making it look too fake. I usually use Sarange's Maxy Snow as a primer but I can't say that it works the best as a primer. 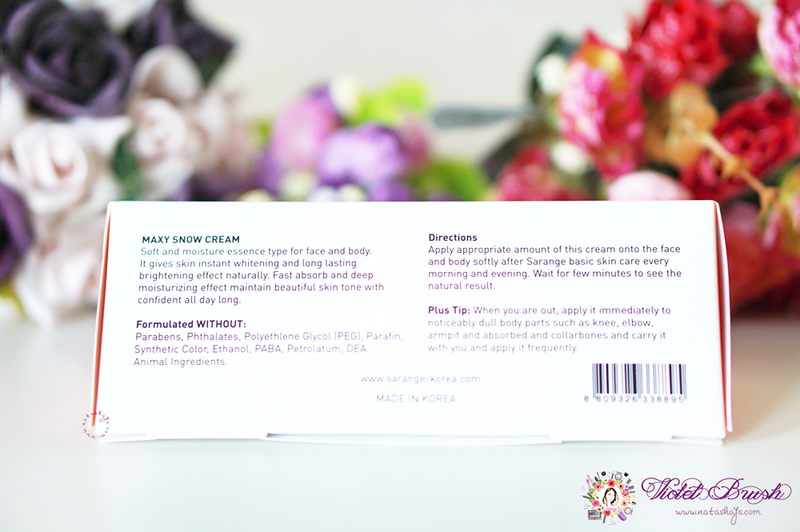 However on the other hand, there are times when I'm too lazy to put on my makeup and use Sarange's Maxy Snow as an extra moisturizer on top of my daily moisturizer and I pretty love the moisture it provides my skin with. In conclusion, I love Sarange's Maxy Snow as a moisturizer but not as a primer. I definitely recommend this to you who want a healthy-looking brighter skin. On a side note, I would love this product even more if Sarange includes SPF 30 or higher, though. You can find Sarange's Maxy Snow at SOGO Department Store (Mall Kelapa Gading, Central Park Mall, Emporium Pluit Mall, Mall@Alam Sutera). You can also purchase it online through Sociolla (will be available soon).